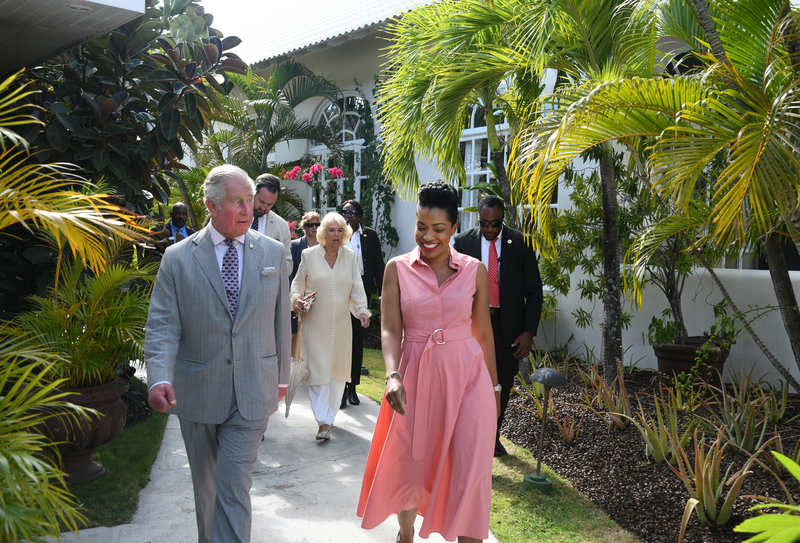 GRENADA'S SPICE ISLAND BEACH RESORT WELCOMES PRINCE CHARLES AND CAMILLA, DUCHESS OF CORNWALL GRAND ANSE BEACH, Grenada (March 25, 2019) - Grenada's leading luxury all-inclusive, Spice Island Beach Resort (www.SpiceIslandBeachResort.com), was honoured to welcome Prince Charles and Camilla, Duchess of Cornwall to the resort on March 23, 2019. Upon arrival at the resort, Their Royal Highnesses were greeted by General Manager Brian Hardy and escorted to a reception area where they were welcomed by the resort's Chairman and Managing Director Sir Royston Hopkin KCMG, Lady Hopkin, Deputy Managing Director Janelle Hopkin and Director Ryan Hopkin. 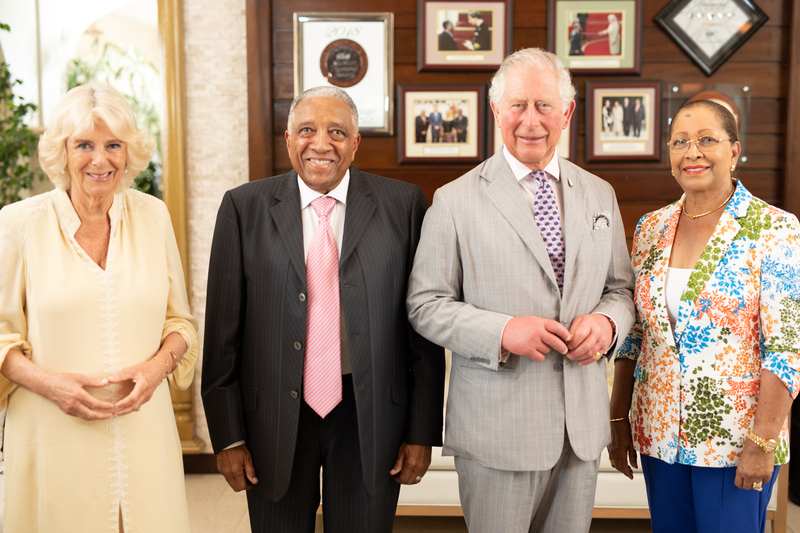 "Welcoming the Prince of Wales and Duchess of Cornwall to Spice Island Beach Resort was a proud moment for the entire Spice family. 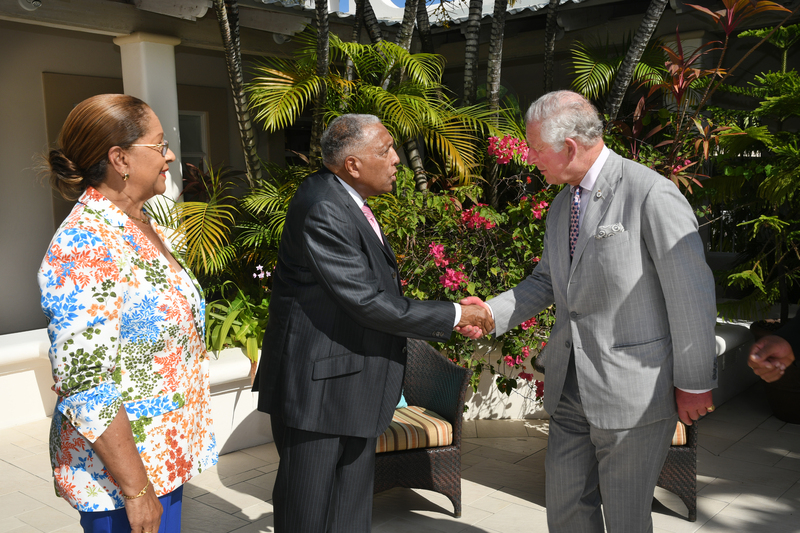 We are truly honoured to have hosted Their Royal Highnesses during their visit to Grenada," said Sir Royston. Janelle Hopkin escorted Their Royal Highnesses to their room, the coveted Cinnamon Suite, one of the resort's flagship beachfront suites decorated in a fresh contemporary Caribbean style, where they enjoyed Spice Island Beach Resort's relaxing luxury atmosphere. Their Royal Highnesses visited Grenada on a goodwill tour of six Caribbean islands. After their departure from Spice Island Beach Resort on Sunday, March 24, Prince Charles and Camilla, Duchess of Cornwall visited Cuba. Tucked away on an elegant stretch of Grand Anse Beach just 10 minutes from the airport, Spice Island Beach Resort encompasses 64 elegantly-appointed suites including 17 private pool suites as well as luxurious beachfront accommodations which open directly onto the sand. The upscale property has garnered significant attention in recent years as Grenada's tourism stature grows internationally. Visit www.SpiceIslandBeachResort.com for more information or contact the resort's toll-free reservations team at 800-501-8603. Spice Island Beach Resort The award-winning Spice Island Beach Resort features the full-service Janissa's Spa, a beachfront yoga pavilion, a fully equipped fitness center, Oliver's beachside gourmet restaurant, the Sea & Surf Terrace for light lunches, the Sea & Surf Bar for refreshing cocktails throughout the day, a central swimming pool with swim-up whirlpool, an Omnicourt® tennis court, the Nutmeg Pod children's activity center, the Gatsby Boutique and more. An all-inclusive vacation at Spice Island Beach Resort features gourmet dining (daily breakfast, lunch and dinner) including premium cocktails and house wines; afternoon tea; oceanfront swimming pool and non-motorized watersports; island tours, scuba diving and sailing charters; access to the resort's state-of-the-art fitness center; tennis, cycling and golf (greens fees at the nine-hole Grenada Golf Club included); full-day children's activities program (ages 3-12); high speed Wi-Fi; and room service (delivery fee applies). Spice Island Beach Resort is a proud recipient of the Six Star Diamond Award from the American Academy of Hospitality Sciences for the past five consecutive years. Over the years, the resort has been voted within the top luxury hotels in the Caribbean on TripAdvisor based on guest reviews. In 2019, the premier property was ranked fourth out of 25 luxury Caribbean hotels in the TripAdvisor Travelers' Choice Awards. In January 2019, Spice Island Beach Resort was bestowed the coveted AAA Five Diamond Award for the third consecutive year. The prestigious AAA Five Diamond rating has only been granted to six other resorts in the Caribbean and 121 hotels worldwide. The acclaimed resort is the recipient of the 2019 Condé Nast Johansens "Best Dining Experience" award and the publication's 2016 "Best Service" award. Spice Island Beach Resort is a proud member of the esteemed Small Luxury Hotels of the World (SLH) collection, and a member of Virtuoso, Signature Travel Network and Green Globe. For more information, contact Spice Island Beach Resort toll-free at US 1-800- 5018603 or UK 0808-189-0088, tel: 473-444-4258, fax: 473-444-4807, e-mail: reservations@spicebeachresort.com, or visit www.SpiceIslandBeachResort.com. Download hi-res images of Spice Island Beach Resort via www.spiceislandbeachresort.com/imagelibrary. Connect with Spice Island Beach Resort on Facebook, Instagram and Twitter.